If your batteries connections do not match the one pictured? YOUR BATTERY MAY BE ON A RECALL. 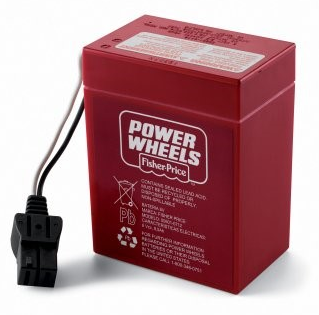 This replacement battery is a genuine OEM sourced item, it is not an aftermarket imitation. It is a high quality item designed for use with Power Wheels equipment. Over time batteries tend to get weaker and eventually not being able to supply enough power to the unit.